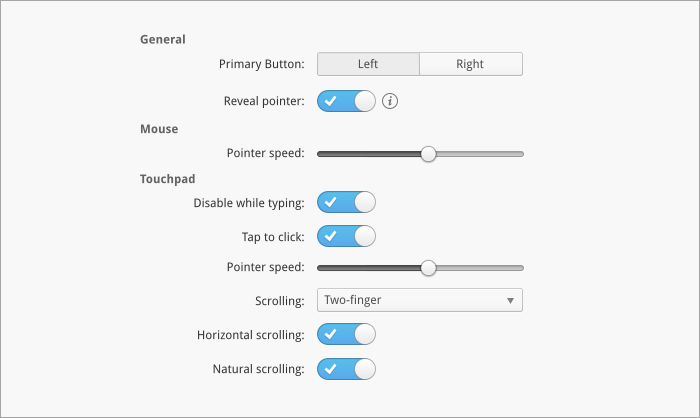 Doesn't "natural scrolling" also affect the mouse wheel and not only the touch pad? In the second mockup it is placed under "Touchpad". Maybe it should under "General" as in the first mockup after all. @danrabbit I have testet it in a VirtualBox VM and in a live session on my laptop. In the VM natural scrolling doesn't work at all. 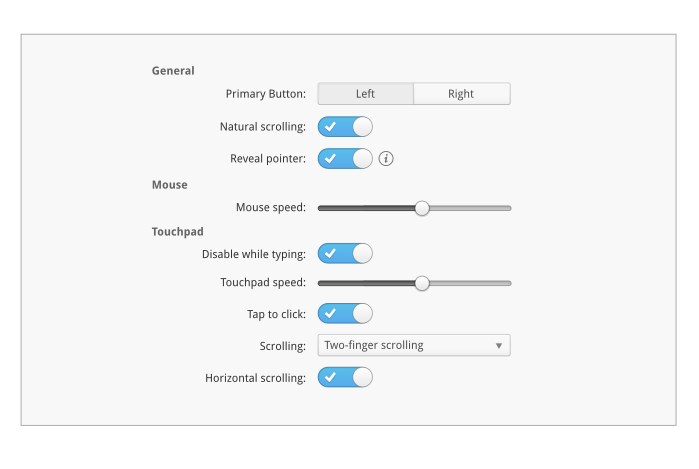 In the live session natural scrolling did indeed only affect the touch pad and not the mouse wheel. There was probably already discussion about this but for this difference in behavior is confusing. If there was a discussion about this could someone point to it? Would be interesting.